Gluten-free and Vegan! – Props to Tris from Balanced Body Nutrition for making such a pretty and colourful salad! Preheat oven to 180 degrees celcius. Line a baking tray with baking paper. 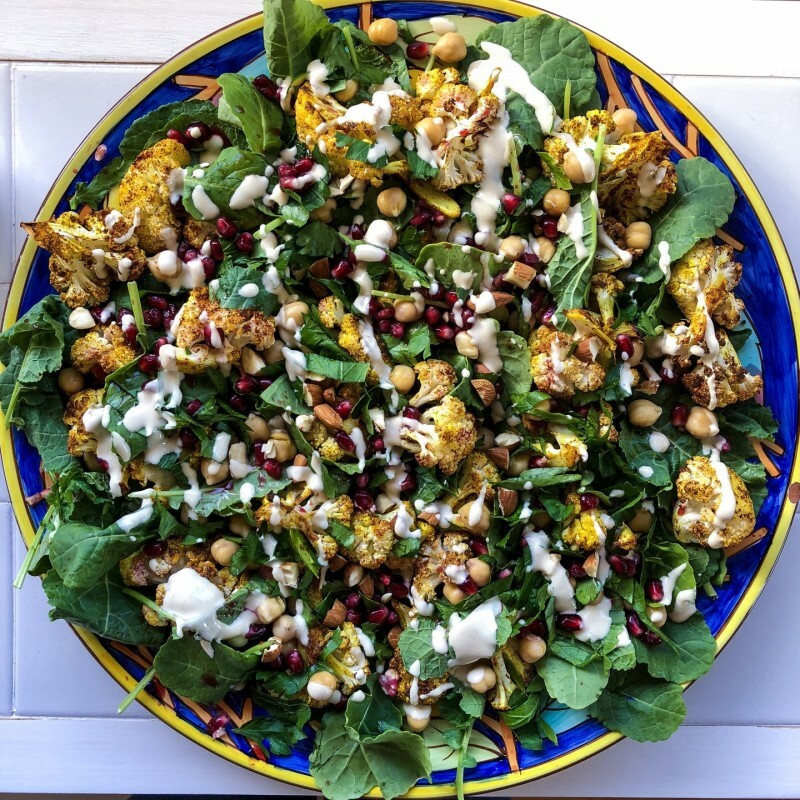 Chop cauliflower into small florets, and toss in turmeric, paprika and extra virgin olive oil until coated. Roast for approx. 30 minutes until golden. Meanwhile, assemble the salad ingredients in a large salad bowl or salad platter. 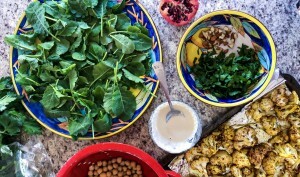 In a small bowl, whisk together the tahini, lemon juice and salt until well combined. This will take a minute or so of whisking to bring the lemon and tahini together (at the start you will notice the oil separates). Add warm water and whisk together, adding only 1 tablespoon at a time until the dressing consistency is runny enough to drizzle over the salad. Drizzle dressing over the salad before serving.